Starting in 2010, the LOON NETWORK contracted with Common Coast Research & Conservation, Inc. to coordinate scientific research within the Elk River Chain of Lakes Watershed. Loon biologists with Common Coast have banded more than 1000 loons in Michigan over the past 25 years. They work under permits from the Michigan Department of Natural Resources and U.S. Fish & Wildlife Service. 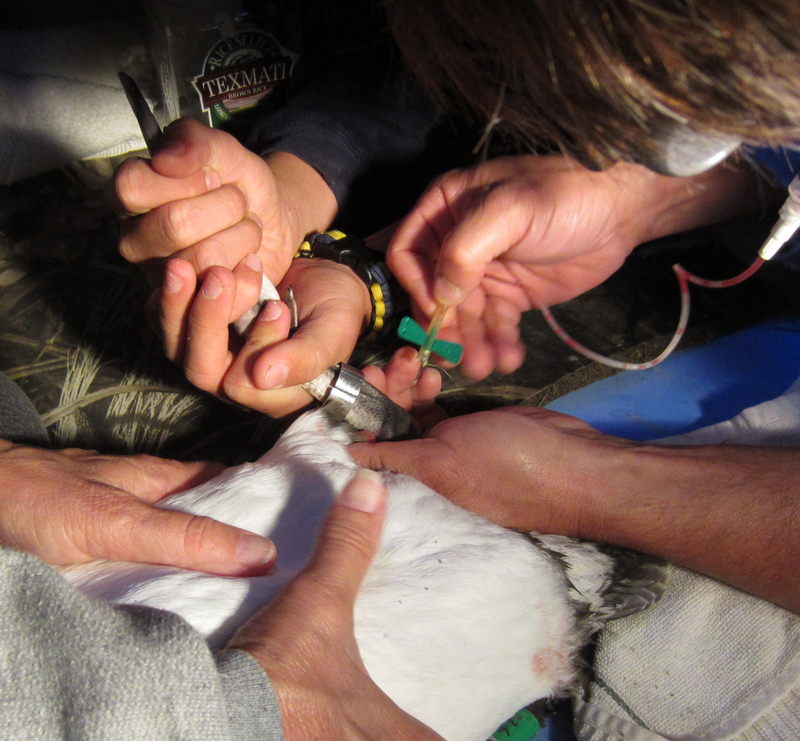 Color banding enables biologists to determine the rate at which banded birds return to their previous territories. Testing blood and feather samples for mercury is a method used to determine the amount of mercury that juveniles ingest from fish in the waters where they are raised. Mercury is a potent neurotoxin found in the aquatic environment. Spring surveys provide scientists with important population information, such as the number of territorial pairs, the number of nesting pairs and the number of other resident adults in the watershed. Geo-tagging with archival geo-location tags provide important migration information, such as their location over the coming year, diving depths including a daily maximum, water temperature, and dates when loons arrive and depart from the ocean where they spend the winter. LOON NETWORK volunteers are involved in all aspects of our research. Both adults and youth assist with banding loons and recording data in the field. Residents provide boats and landing areas on shore, as well as informing neighbors when field work will take place.